As you know, Rockin’ Ray Gooding and I were buds. We were both hired in 1971 and stayed with WBT a long time. Ray turned me into his white “Soul Brother.” He took me to all the joints on Beatties Ford Road. Ray was a shrewd man with his money; every year or two he would buy a small house or small business and rent it. He owned about 10 when he died in 2007. He always told me about a barber shop he owned on N. Graham Street not far from uptown. I’ve driven by it a couple of times recently, and today I decided I would catch up on some history. I went in and met the barber and a couple of customers. 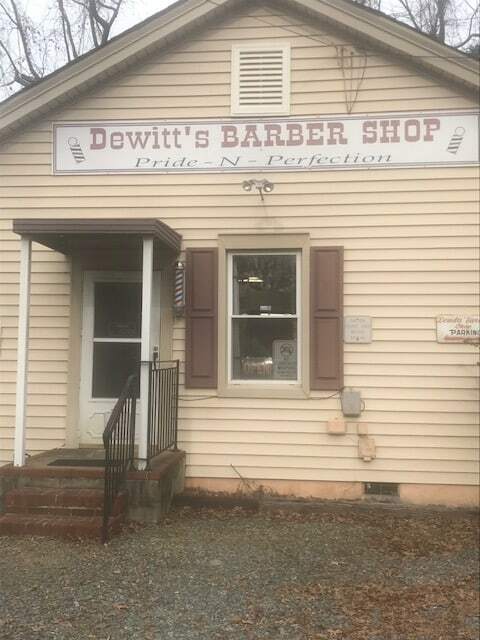 The same barber rents the shop – first from Ray, then Ray’s daughter, and now it’s owned by a different investor. The customers remembered Ray & me and Chattie Hattie on WRPL…Genial Gene Potts…Jimmy McKee at the Excelsior Club and John McDonald’s famous restaurant. Here’s a picture of the (Ray Gooding) Barber Shop which looks like a museum from the 1950’s. Have a peek.